Well, that’s it. Stan will be back next week. It has been fun but it’s also required a fair bit of attention. Something I am not sure I could sustain month after month. I sometimes see beer writers use the word “fascinating” and realize I couldn’t muster up that emotion if I was handed a vial of Fascinex 150 pills. How much greater the rip roaring fun one finds in beery records of the past like this real knee slapper of a joke to the upper right from the 11 December 1811 Kingston Gazette of this my dear old colonial town. This brain teaser from the same paper’s 4 December 1810 edition had me spinning for hours. What chance does one week today have against this sort of quality work from the past? Is it even news that BrewDog is setting up another branch plant, this time in Australia? My thoughts, what with another quarterly report and another slip in Sam Adams sales offset “by increases in our Twisted Tea and Truly Spiked & Sparkling brands,” that there is a diminishing return on such things but – as we know from our Bible story time – avarice will have its way. Just as there is no thrill seeing another run of the mill Sam Adams product on a beer store shelf here in Ontario, I trust and likely hope that my Australian cousins have enough local breweries to support that a carpetbagger would get at best tepid reception. Somehow, Martyn’s fuzzy picture from the event captures the spirit of it all. GBH has tweeted a link to a very interesting reddit post by Sixpoint Brewing on the recent “investment” in 21 Amendment by Brooklyn that is fun in its bitchiness but also very telling in one particular comment: “…with a path to full control.” See, when these things happen and people say “whew, it was only a 19.9999% investment so it’s OK” they entirely miss the point. Percentage share ownership means nothing. The BA definition was either writing by non-lawyers or was crafted to dupe. See, you can own 1% of the shares or 99% of the shares of something and still effectively control it outright through the terms of the agreement that is entered into when making the investment. It’s called a shareholders agreement and under them you can list decisions which can’t be made without the approval of this shareholder, you can name names as to which founding owner is now only a front man for the business and you can establish rights to future purchases of more shares – aka the path to full control. Fuggles Or Fuggle… Or Fuggle’s? Ron has posted a picture on Twitter of an 1850s brewing record that uses the word “Fuggle” which has spun off a bit of chatter about the nature of the notation. Martyn suggests it references the farm family rather than the variety. But I wonder when the variety became itself. Not that the record says “Fuggle” and not “Fuggles.” Late in 2014, Martyn posted a detailed description of his understanding of the genesis of the hop variety. 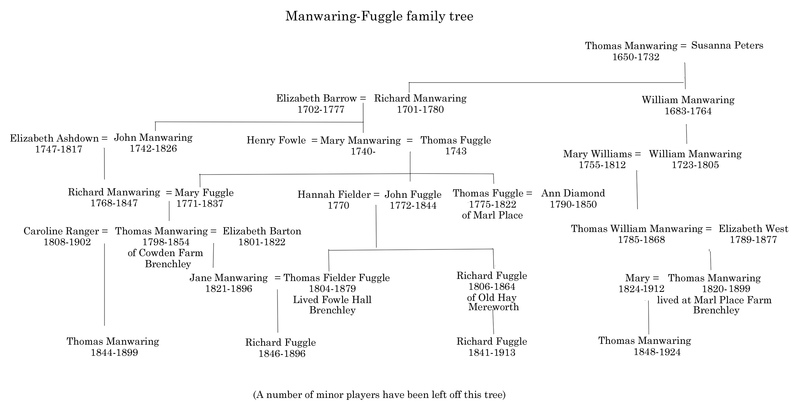 Mr. Fuggle was traced through the Manwaring-Fuggle family tree. Note in his explanation at one point we had a strain named “Fuggle’s Golding” which makes the question even more fabulous. North Korea has revealed the best beer in the world and it costs six cents. Kim Jong Un is apparently nuts about it. I love how it is “suspected they drew particularly heavily on British and German know-how” because, as you know, that is what all the best beers depend on. Could Mr Zyankali make his approach to drinks sound more boring? Jason N. tweeted a very interesting fact about the relative successes of two supposedly “sell out” brands. Which makes me wonder why we like one faceless global conglomerate more than another in some sort of form of corporate anthropomorphism. Why do we care? Why do we kid ourselves? That is it. Of the five weeks I was assigned, this was a bit of a quieter one. What with the dog days of summer, I suppose that was to be expected. First trick I learned? Have a draft started by Thursday with at least 60% of the post sketched out. Second, make sure you do not just overlap Boak and Bailey’s regular Saturday post o’links. Only you can judge whether I can claim to have been effective. Well, only Stan can. I trust he will be back at the coal face today building his links for publication next Monday, 7 August. I shall be back to my own semi-coherent ramblings upon my ramblings. In “My Love From the Star,” a romantic comedy about a Korean actress and her extraterritorial boyfriend, the show’s main character (played by Korean A-lister Jun Ji-hyun) is crazy for chimek—“chi” is short for chicken and “mek” for “mekju,” the Korean word for beer. She specifically likes to partake in a meal of chimek to celebrate the year’s first snowfall. That on-the-screen tradition is playing out in real-life fried chicken joints across China as fans of the show get their chimek fix. “These days when my friends and I get together, we order fried chicken with beer,” said Ada He, who works for a real-estate company in Beijing and is a self-professed Korean drama lover. We are further told that more “than 3.7 million posts related to the Chinese term for chimek have been published on Weibo over the past few weeks.” Korean fried chicken is fried twice but it all looks a lot like, you know, chicken. Some guy in Melbourne ate it with 4 litres of beer and left a review on the web this very day. The fad showed up in NYC in 2007. Apparently, one must get some fried chicken delivered to your picnic spot near the Han River. Is the beer any good? Or is it only the goodness of the chicken that suits the beer? Not sure.